The name 台中擔仔麵餐廳 or Taichung Shoulder Pole Noodle Restaurant is a misnomer, a huge understatement as this is one of the top seafood restaurants in Taichung, if not Taiwan. 台中擔仔麵餐廳 Taichung Shoulder Pole Noodle Restaurant is famous for their premium live and fresh seafood. Why then is it named Shoulder Pole Noodle Restaurant and not a seafood restaurant? 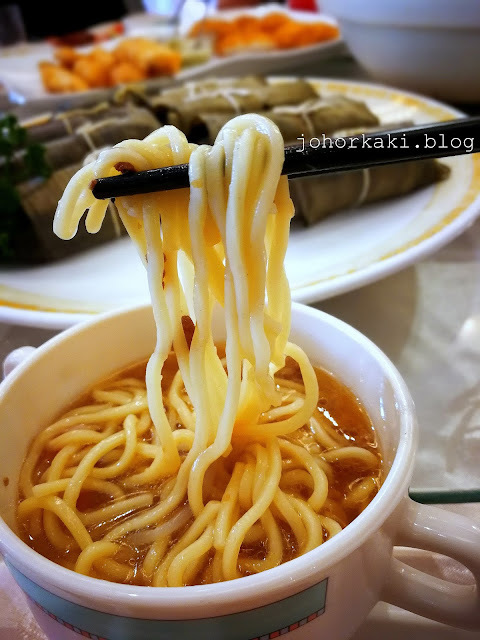 You see, Taichung Shoulder Pole Noodle Restaurant was founded in 1986 serving exactly that, the humble shoulder pole noodles, or Ta'a Mee 擔仔麵 in Hokkien. 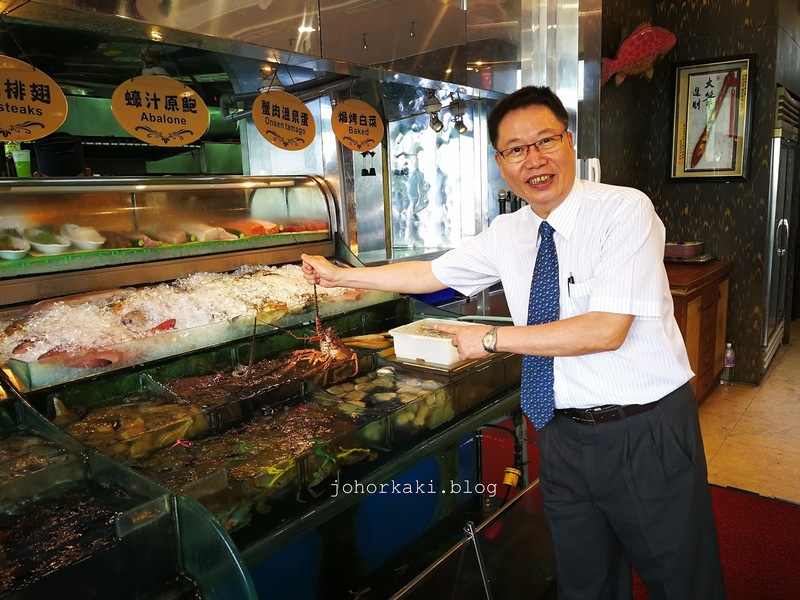 Over time, the little eatery progressed to adding seafood to its menu as founders 周文深 Wen-Sheng Zhou and brother 周文道 Wen-Dao Zhou grew up in a fishing family. 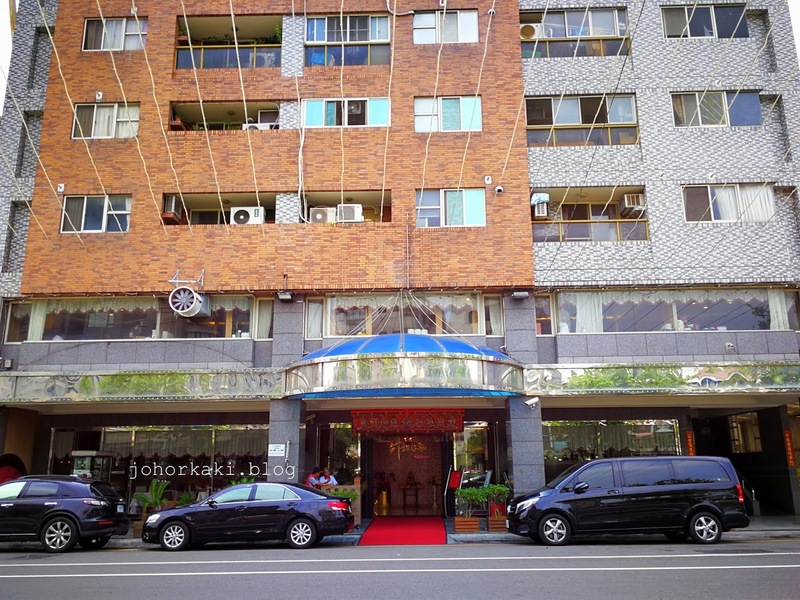 台中擔仔麵餐廳 soon prospered and transformed to the premium seafood restaurant that it is today. Still, they have not changed their restaurant name, nor forgotten their humble roots. Ta'a Mee 擔仔麵 is still on the menu at Taichung Shoulder Pole Noodle Restaurant. We too started with seafood and ended with Ta'a Mee 擔仔麵. Appetizer at second stop. Raw white bait. Our appetiser was raw fresh white bait 吻仔魚 on a heap of sweet julienned nagaimo (Japanese yam) and cucumber drizzled with light soy sauce. The little fish was soft. 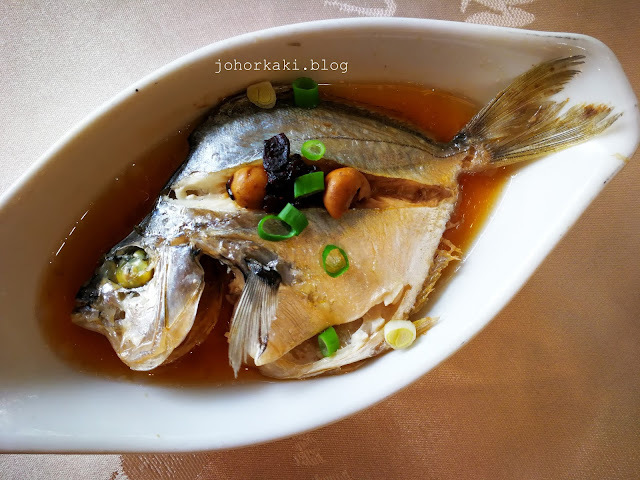 I could taste the fish's sweetness and briny ocean flavour beneath the savoury light soy sauce. I don't know what fish this was - on the menu it says 三角魚 or triangular fish 😄. It was the size of a lady's palm, flat, fleshy, and bony. The fish was simply dressed with light soy sauce and steamed. I like my fresh fish done this way as it allows me to taste the fish's natural sweetness with every bite of its tender juicy flesh. This steamed 三角魚 was great. 活鮑魚乾貝炒番茄 Live Abalone and Scallops in Tomato Sauce - a 台中擔仔麵餐廳 signature dish. 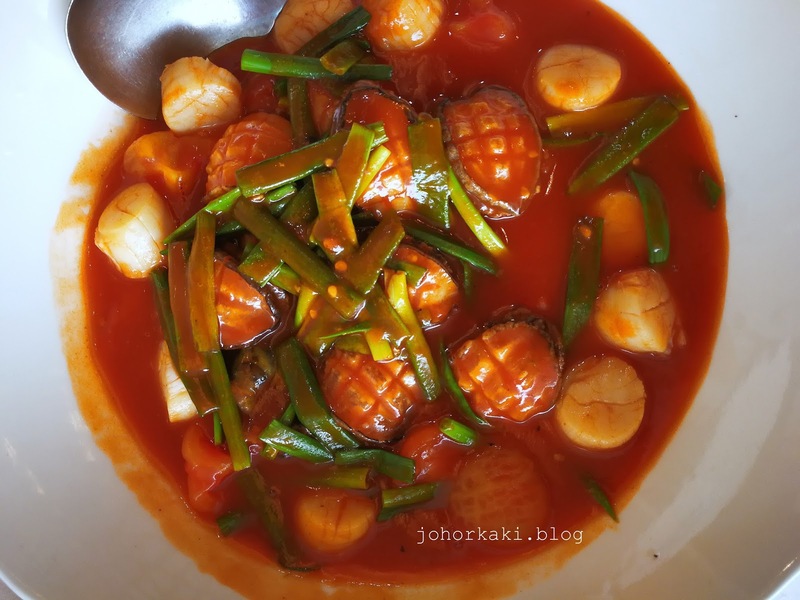 First time tasting abalone with local tomatoes. It's a top selling dish here. 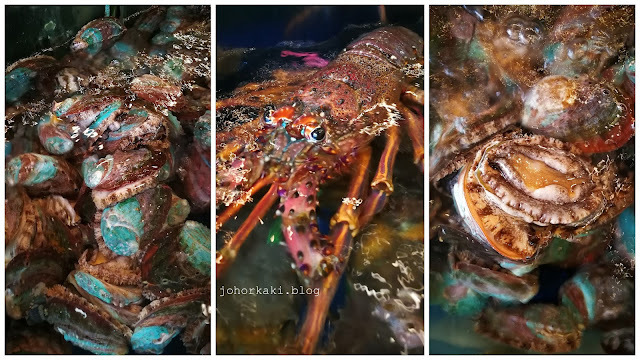 I was wowed by the live abalone as I rarely have the opportunity to taste this shellfish live 😄 I like the chewy, slightly rubbery texture of thick abalone flesh. The tomato sauce was savoury with underlying tanginess. The tomato sauce was rather robust and I struggled to discern the delicate flavours of the live abalone and scallop. 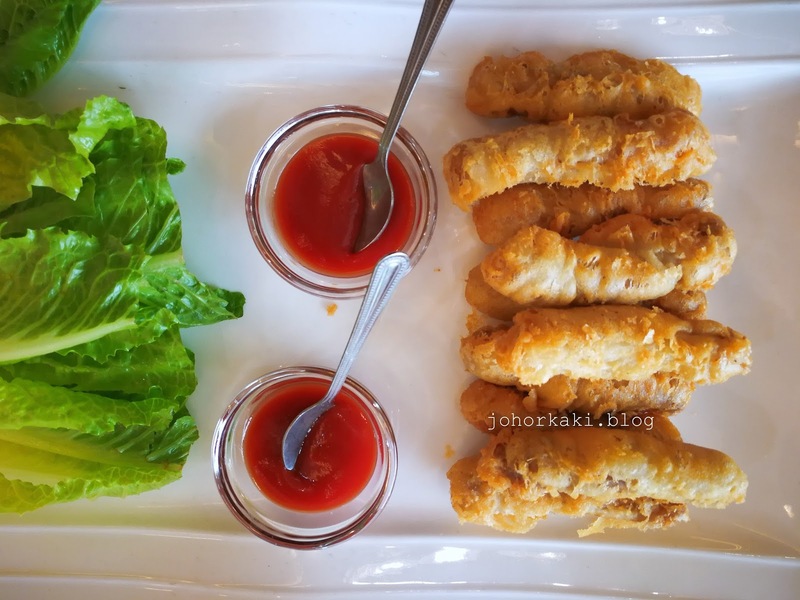 炸蝦卷 or Crispy Fried Prawn Roll. 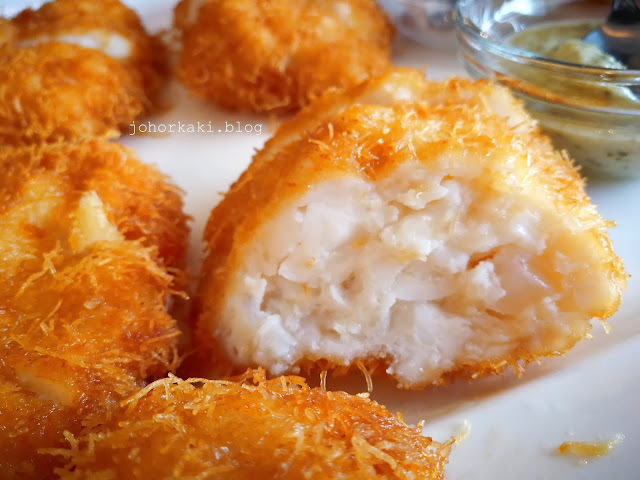 The prawns were mashed, wrapped in batter and then deep fried to a golden brown crisp outside. Delicious. 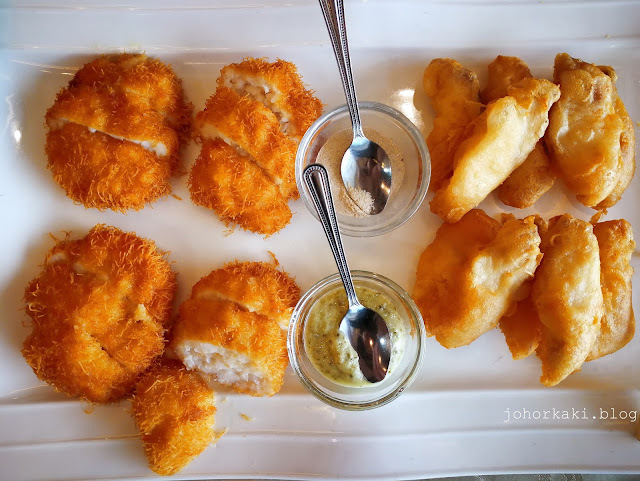 I like the squid cutlet a lot as the diced squid have a nice springy texture and distinctive sweet taste. The batter has a nice crisp too. 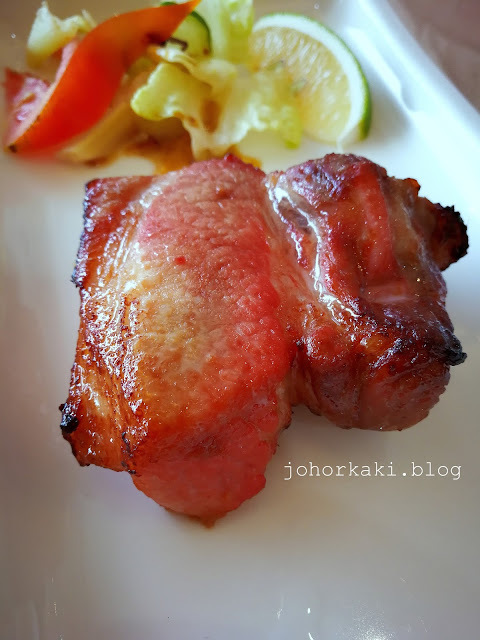 南乳排骨 Meaty pork rib marinated with fermented bean curd and baked. The thick flesh was moist and juicy, though slightly firm. The savoury marination was mild and aromatic, allowing me to taste a bit of natural porky sweetness. I like this pork rib dish. 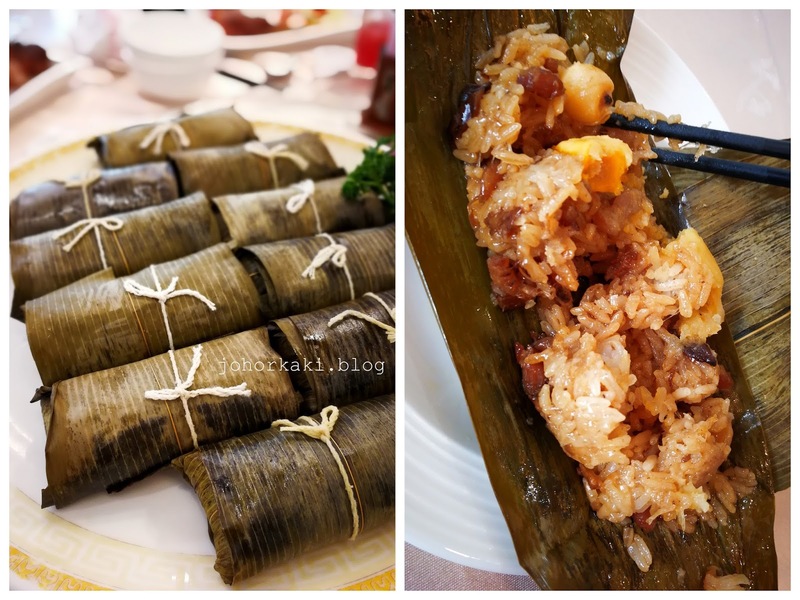 荷葉香粽 Glutinous rice dumpling wrapped in aromatic lotus leaf. 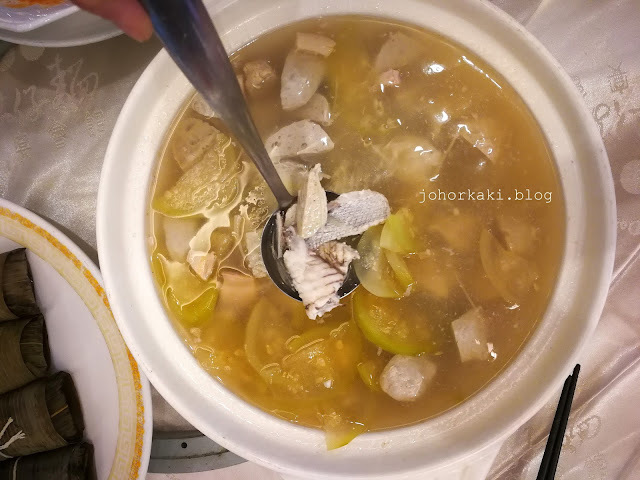 魚頭西瓜錦湯 Fish head (cut into chunks) and melon soup. 👉 華美街台中擔仔麵餐廳 is the go to place in Taichung for premium live and fresh seafood. Disclosure: My thanks to China Productively Center for this opportunity.